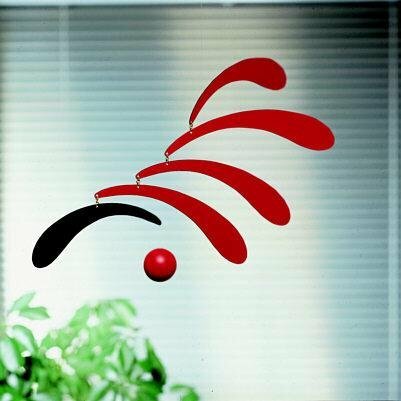 Flensted Mobiles are a traditional handicraft in Denmark. The first modern designer mobile was made there in 1954. Today Flensted Mobiles is based on the Danish island of Funen, the birthplace of Hans Christian Anderson, where it creates its very own design fairy tales from the old village school in Brenderup. An interplay of shape and color in movement that is perfectly suited to the contemporary interior. Created in 1955 by Christian Flensted.